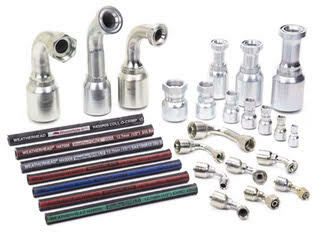 Eaton’s Weatherhead line has one of the industry’s broadest offerings of hose and fittings, widely used through multiple market applications. Weatherhead products include hydraulic hoses, hose ends, assembly equipment, tube fittings, couplings, and support accessories. Weatherhead products are widely used in heavy duty trucking, automotive, agriculture, mining, and construction. Eaton is a worldwide leader in the design and manufacture of hydraulic systems. These reliable, high-efficiency products include a comprehensive line of systems and components for use in mobile and industrial applications, including heavy duty trucking, automotive, agriculture, construction, mining, forestry, and waste management.